Henry was born three years ago on Halloween. He surprised us all by arriving 10 days before his due date. John and I had actually just arrived home from a Halloween party when I yelled from the bathroom, "Oh no. OH NO!" "What do you mean 'oh no'? 'Oh no' is not good!" John shouted back on the other side of the door. "Something is happening! I think this baby is coming!! He is NOT SUPPOSED TO COME YET! THIS WAS NOT MY PLAN!!" I didn't want him to be born on Halloween, I was afraid his birthday would always be overshadowed by costumes and coffins and candy hysteria. Besides, I only had half of my "before the baby comes" to-do list checked off. I tried crossing my legs and using mommy-baby telepathy to tell him to stay put. I tried to ignore the piercing contractions by burrowing under the covers and pretending to sleep. Surprisingly, none of my labor-stalling techniques proved effective. 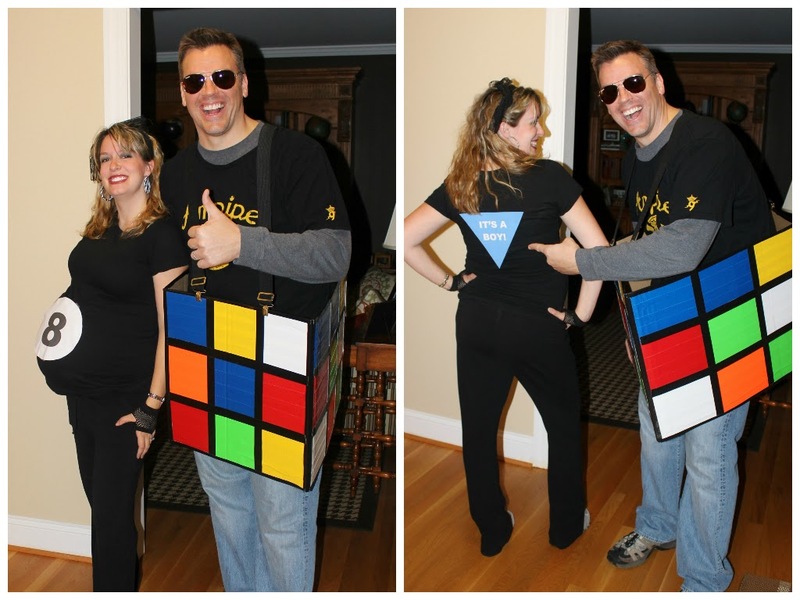 There are only so many costumes that work when one is 9 months pregnant. Despite my best efforts, our little pumpkin entered the world at 6:45am on October 31st. We flipped a coin to decide his name (Mommy won!) and Henry Thomas became the newest member of our family. 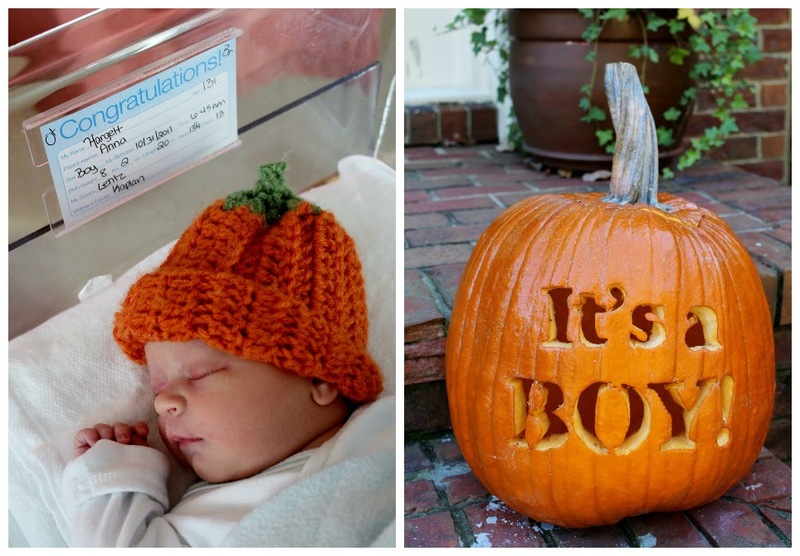 Although his early and somewhat complicated birth was a bit of a trick, our Halloween baby was decidedly a treat. By the time Henry's first birthday rolled around, he was already on his way to becoming the middle child. 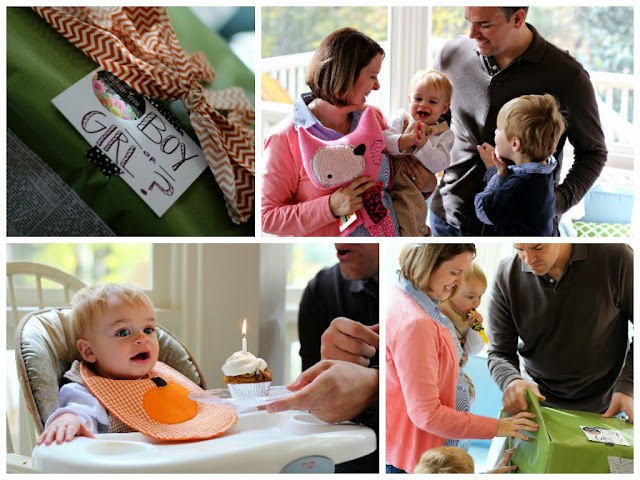 He had a sweet little party in between the Halloween festivities, and since family was already gathered, we decided it was also the perfect time to reveal the gender of baby number three. Happy birthday, Henry, you get a baby sister! When Henry turned two, we were up to our elbows in small children and so exhausted by the business of the season that the best we could manage was two candles in a cookie. So for birthday number three we decided it was high time to give Henry a celebration to remember. On Halloween, his actual birthday, he woke up to his favorite breakfast and opened some gifts from Mom and Dad. True to his age, he ate approximately three bites and then scampered off to play with his presents. The evening was spent trick-or-treating on our street. Jack had been eagerly anticipating this day for weeks (Halloween, not Henry's birthday), and had passed on his excitement to his brother. As we went door to door, I noticed Henry seemed a little confused. "Come on, Henry," I urged, "let's go to the next house!" "But Mommy, I want to GO to Trick-or-Treat!" Apparently, all his brother's stories of candy and chocolate led him to believe that we were going to actually GO to the magical land of Trick-or-Treat where a hot cocoa river flows through lollipop trees and children are allowed to color with Sharpies on every visible surface, or whatever exists in a three-year-old's fantasy. It seems he was not expecting to stumble around in the dark, bypassing giant light-up spiders and creepy porch-sitting ghosts, in order to wait for strange grown-ups to fish around in a bowl and hand him a Tootsie Roll. All in all, Henry was quite suspicious of Halloween. Also, true to his age, halfway down the street he decided he did not want to be the Incredible Hulk. He actually wanted to be a giraffe. Unfortunately, I did not happen to have a giraffe costume in my pocket, so he was forced to suffer through the rest of the night as a beloved superhero while people filled his bucket with free candy. Fortunately, his birthday celebration did not end on Halloween. We had a few surprises in store for our little green monster. Over the past few months Henry has developed a slight obsession fascination with animals. Animal toys, animal books, animals of all shapes and sizes, if it moves and breathes and is not a human then Henry LOVES it. Luckily, there just happens to be an exotic animal haven about an hour away from us. That weekend, we headed down to the Lazy 5 Ranch with Grammie and Pappy. We excitedly told him that we were going to a really fun zoo where he could pet some animals. "Can I pet horsies?" he asked. "Yes! They have bull cows!" "Well, no, you can't pet alligators...but they have barns!" As we drove up, it was clear that this time, this birthday event exceeded even his 3-year-old expectations. "Hello, llama in pajamas. Why are you backing into a wall? My sister and I give great hugs." The Lazy 5 Ranch is basically a drive through petting zoo. Not only are visitors able to pet all sorts of exotic animals from giraffes and camels to llamas and longhorn cattle, the ranch also gives out buckets of feed in order to ensure close-up interaction. Visitors can opt to drive through the ranch in their own cars or ride a horse-driven wagon around the property. We chose to go all out for this occasion. Wagon ride, here we come! Henry was so excited, Grammie had to restrain him from launching himself at the emus. "Look, Mommy, a reindeer! I LOVE REINDEERS! Look, Daddy, a llama! I LOVE LLAMAS!" On the subject of cow tongue, he remained ambivalent. Sometimes I fear that Henry gets overlooked, sandwiched between his two siblings, so my heart was full as I watched my sweet boy soaking in a day all for him. At three-years-old he is his own little person. He is good-natured and curious and full of mischief. He is not afraid to pick up spiders. He imitates everything his big brother does and has become an expert at making his little sister giggle. This summer he tasted a frog "to see if it was yummy." (It was not). I have seen him, belly to the ground, engrossed in the activities of an anthill for a solid 20 minutes (which is the equivalent of 5 hours in adult time). Sometimes, out of the blue, he will rush up, give my legs a big squeeze and whisper "I love you, Mommy," and give me a quick little kiss on the knee before dashing away. He has playfully pressed himself into every crevice of my heart. We ended the day at home with dinner and cousins and cupcakes - animal cupcakes, of course! "Mommy, this is the best day ever!" he grinned. Happy birthday to Henry, the best Halloween treat of all. Such a sweet boy! I love his face blowing out that candle!